Vincent van Gogh was a Dutch artist of the 19th century and is now considered one of the greatest painters in the world. He painted for just ten years. But during this time he did more than 800 paintings in oil colors and 700 drawings. Surprisingly, he sold only one painting while he lived. By the end of the 20th century, however, his paintings regularly sold for millions of dollars. Vincent Willem van Gogh was born on March 30, 1853, in Zundert, The Netherlands. His father was a church minister. Van Gogh tried many jobs. He worked as an art seller, a bookseller, and a teacher, but failed at each one. 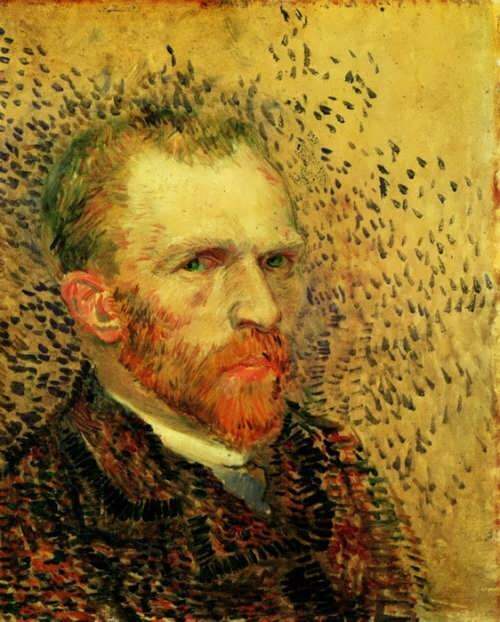 Van Gogh had mental problems and this made it difficult for him to succeed. Wang Yani is a Chinese artist. Yani was born in 1975 in Gongcheng, China. Since her childhood she was fond of drawing. Her father was an artist and Yani wanted to be like him. Wang Yani’s father gave her paint, brushes, and paper. Yani started painting at the age of two-and-a-half. She improved very quickly. Soon her lines became flowers, trees, and animals. When the girl was only four years old her pictures were in an art exhibit in Shanghai. By age six, Yani had made over 4,000 paintings and drawings. 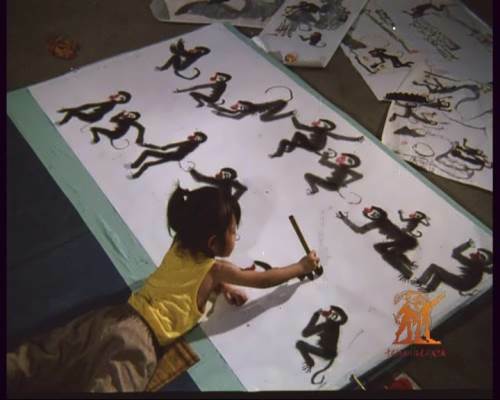 She loved to draw monkeys and cats. Her father stopped painting his own pictures because he did not want his daughter to paint like him. They went to parks and zoos to get ideas for pictures. 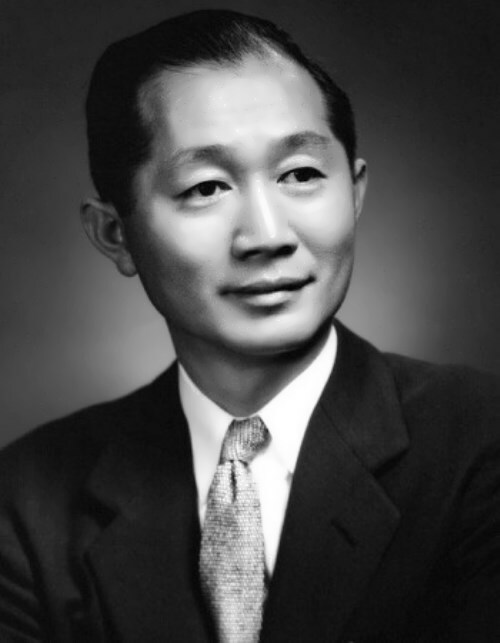 Minoru Yamasaki was an American architect, best known as the author of the project of the World Trade Center in New York City, destroyed on September 11, 2001. He is also known for architectural projects of the airport in St. Louis, a complex of buildings of the Institute of Arts and Crafts in Detroit, the American Concrete Institute. Minoru was born on December 1, 1912 in Seattle, Washington. His parents came from Japan. He grew up in Auburn, Washington, and graduated from Garfield senior school in Seattle. In 1929, he entered the College of Architecture at the University of Washington and in 1934 he received a Bachelor of Architecture. Every summer he worked in a fish factory to help pay for college. Often he worked from four o’clock in the morning until midnight. After moving to New York in 1930 Yamasaki studied at New York University and worked in the architectural firm Shreve, Lamb & Harmon, the sponsors of Empire State Building. 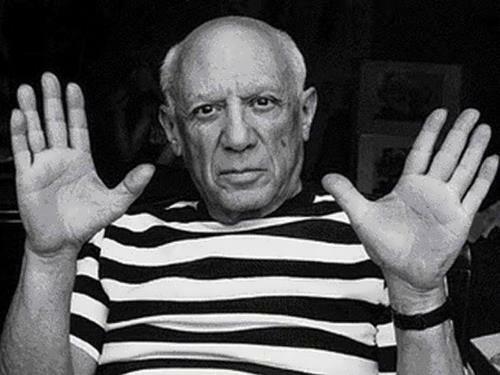 Pablo Picasso is one of the greatest artists of the twentieth century. He was the Spanish painter, sculptor, and graphic artist. He established the basis for abstract art and was the central figure in developing cubism. Pablo was born on October 25, 1881 in Malaga, Spain. His full name was Pablo Diego José Francisco de Paula Juan Nepomuceno María de los Remedios Cipriano de la Santísima Trinidad Martyr Patricio Clito Ruíz y Picasso. His father was a professor in the School of Arts and Crafts. Pablo’s mother was Maria Picasso and the artist used her surname. Pablo drew pictures before he could talk. Pablo hated school and drew pictures instead of studying. When he was only eight years old, he finished his first oil painting. When Pablo was 14, his family moved to Barcelona where he began studying at the School of Fine Art. A year later he was admitted as an advanced student at the Royal Academy of San Fernando in Madrid. 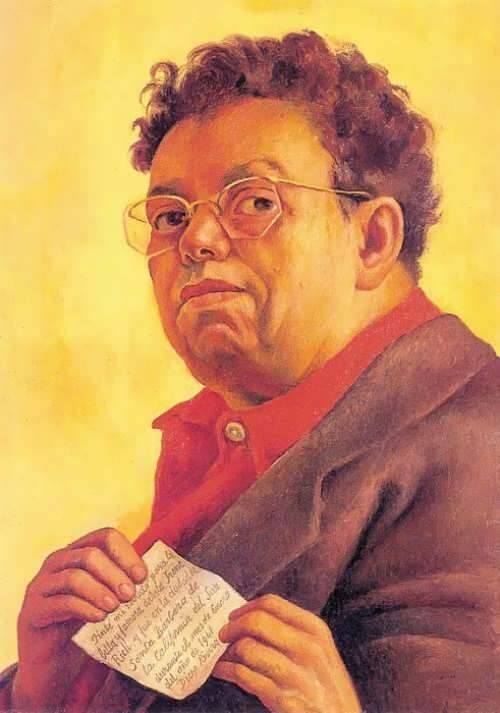 Diego Rivera was a Mexico’s most famous painter, muralist, and political activist. His full name was Diego Maria de la Concepcion Juan Nepomuceno Estanislao de la Rivera y Barrientos Acosta y Rodriguez. Diego was born on December 8, 1886 in the city of Guanajuato in the northwest of Mexico into a wealthy family. Diego had a twin brother who died at the age of two. As a child, he was very intelligent and curious about everything. Since 1896 to 1902 Rivera took lessons in drawing and painting at the Art Academy in Mexico City. He was awarded a scholarship that enabled him to go to Spain. From 1907 to 1921 he lived in Europe. He studied at the Academy of Fine Arts in Madrid (1907), then lived and worked in Paris (1909-1920), in Italy (1920-1921), also visited Belgium, the Netherlands and the UK. He was familiar with the Parisian artistic elite, including Pablo Picasso and Alfonso Reyes. 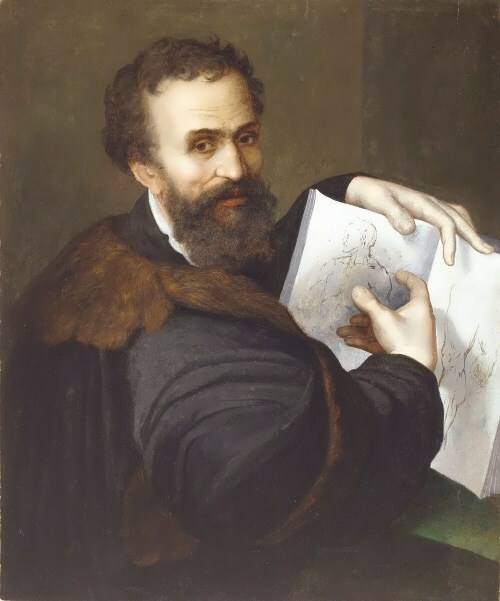 Michelangelo Buonarroti was the greatest sculptor of the Italian Renaissance and one of its greatest painters and architects. He is recognized as one of the greatest artists of all time. Michelangelo was also a poet who produced more than 300 poems. Michelangelo di Lodovico Buonarroti Simoni was born on March 6, 1475 in a small town in Tuscany, but he grew up on the outskirts of Florence. His mother died when he was 6. At the age of 13 he left school to begin training as a painter. The boy became an apprentice to Domenico Ghirlandaio, Florence’s most fashionable painter. In about 1490 he found a position in the large household of Lorenzo de’ Medici. 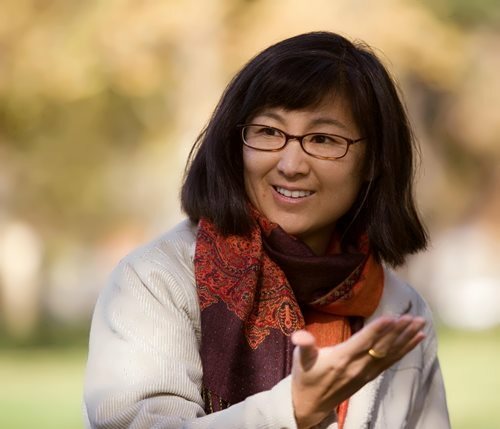 Maya Lin is an American architect, sculptor and expert in landscape design. Her most famous work is Vietnam Veterans Memorial in Washington, DC. Maya Ying Lin was born on October 5, 1959 in Athens, Ohio. Her parents emigrated to the US in 1949 and settled in Ohio in 1958. Her father, Henry Huang Lin was a ceramist and former dean of the College of Fine Arts at the University of Ohio, and her mother, Julia Ming Lin, was a professor of literature at the University of Ohio. Maya is a niece of Lin Huiyin, China’s first female architect. She went to Yale University and studied architecture. Lin was awarded an honorary doctorate at Yale University, Harvard University, Williams College, Smith College.